Category Archives for "Kali Linux"
Learn step-by-step how to change (spoof) your MAC address in Kali Linux using macchanger or, by doing it manually. A cheatsheet of essential bash commands for mastering the command-line. 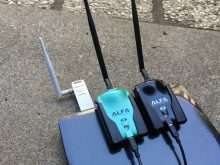 A detailed review of the best wireless adapters in 2017 for hacking wifi in Kali Linux. Download a collection of wpa2 word lists and passwords for dictionary-attacks using password cracking tools such as aircrack-ng, hydra and hashcat. Kali Linux is a debian-based OS designed for hacking. In this post, you’ll learn step-by-step how to install Kali Linux on VirtualBox in a Mac OSX. Learn what’s a MAC address and how to spoof your MAC address by changing it to your preferred choice – in Mac OSX.